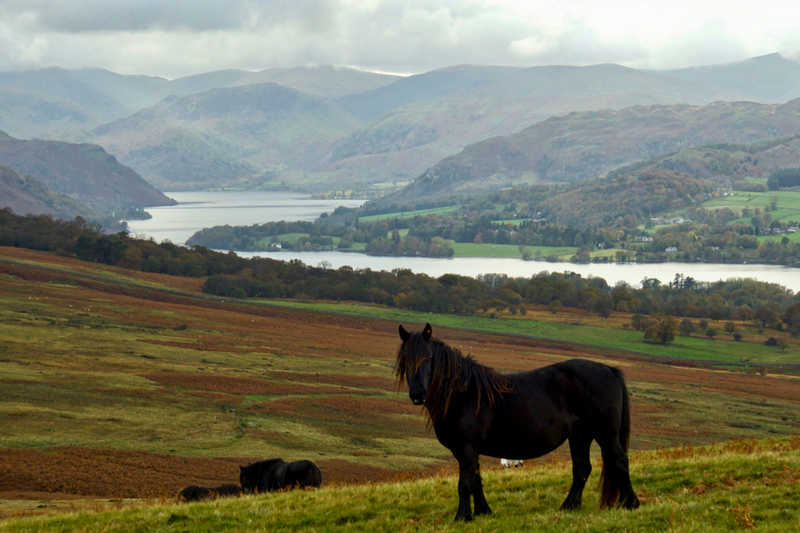 A Cumbrian Fell Pony grazes on the slopes of Moor Divock overlooking Ullswater in the Lake District. They are semi-wild, on the hills all year round. Someone “owns” them, they have a tag on their ears. Standing no more than 14 hands high, shaggy with long knotty manes, Fell Ponies are said to have originated from the Friesian horses first introduced by the Romans and later domesticated by the Vikings for ploughing. While these working ponies were kept on the farms, the breeding stock would always remain out on the fells ensuring their hardiness.